Yesterday marked the third birthday of our first game Reus. We celebrated it quietly and quickly over here in the Abbey Games office. 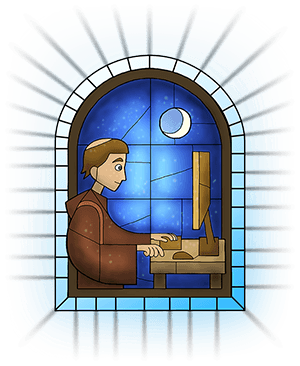 Not because Reus isn’t a big deal to us, quite to the contrary, after three years it’s still the game that kickstarted our small development team into a solid game studio. We cherish that every day, not with balloons and confetti, but by doing what we love to do most: making games. After Reus we released our second title Renowned Explorers last September and almost immediately two things became very clear. First of all we quickly realised that for this game to flourish it needed long term attention. Secondly and luckily we noticed very early on that a small but very active and positive community was growing around Renowned Explorers. 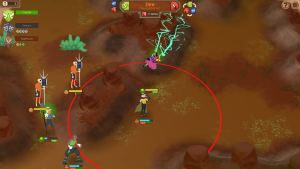 With these upsides of continuous support for an existing game – rather than moving on to a new project – in the back of our heads we decided that we wanted to do something bigger. 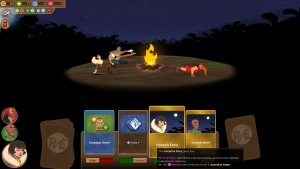 And that brings us to the news I want to present today: Renowned Explorers is getting an expansion! Some of you might already know this, since we hinted at it in some of our Twitch streams and a couple of forum posts, so I’m just going to give away some more juicy news. Ready? Here we go. The expansion is called “More To Explore” and while a definitive release date or price are not yet known, I can say it’s coming really fast. The expansion is currently going through closed beta and we’re busy polishing the details, before we launch it to Steam, GoG and Humble. Furthermore – and this is the juicy part – I can disclose a couple of details about what this expansion is going to be about, because, in all honesty “More To Explore” is a title that leaves a lot to imagination. We’re bringing three major chunks of new stuff to the game: two new expeditions and a new gameplay feature. 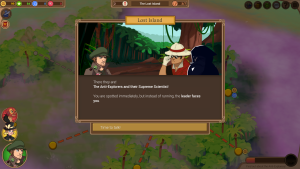 The new expeditions take you to “Lost Island” and on an “Andean Adventure” where you can respectively figure out a prehistoric mystery involving the Anti-Explorers and liberate a South American mountain people from a cruel dictator. 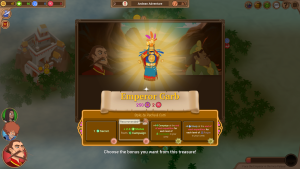 The feature evolves around Campfire Stories, which give new depth to the relationships between your characters and new strategic possibilities for gathering as much renown as possible on your way to become the world’s most Renowned Explorer. We hope both old and new players are going to have a lot of fun with it. And both of these groups can count on our support and Renowned Explorers’ fantastic community for months to come.